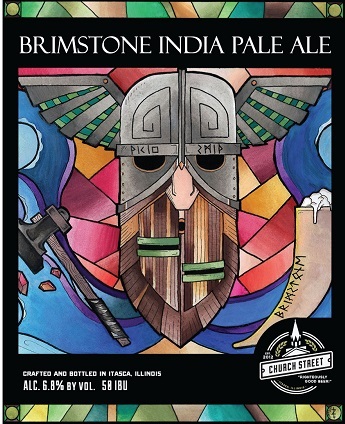 Church Street is proud to present our take on the American IPA with this dry-hopped West Coast IPA that’s brimming with Cascade aroma, giving this tangerine-beauty a fruity and refreshing nose - don’t be surprised if you find yourself sniffing more than sipping! A bold bitterness is rounded out by notes of citrus and grapefruit and a slightly dry hoppy finish. Cheers! 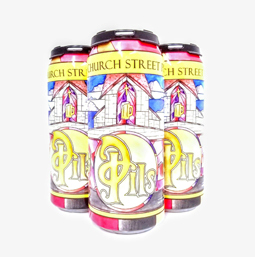 This award winning pilsner recipe comes to you from the brewers at Church Street Brewing Company. Our proprietary yeast strain along with the Czech Saaz hops produces a pilsner that is completely unique to this side of the pond. The rich malt character of a Czech Pilsner is derived from our European brewing techniques (decoction mash brewing) which comes through at first, followed by the crisp hop bitterness of a German Pilsner. 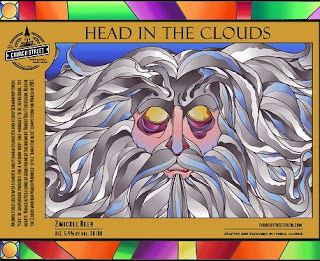 An unfiltered lager with a smooth, malty umami character and a crisp German hop finish. Yeast in suspension provides for a medium-body taht manages to be refreshing, yet heart. 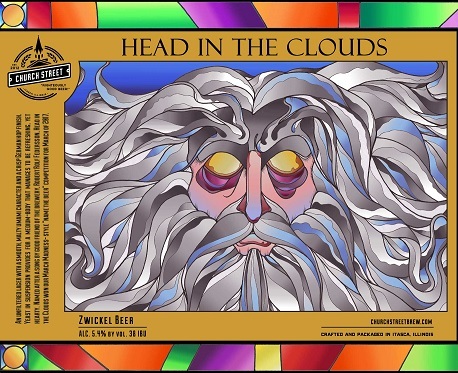 Named after a song by a good friend of the brewery, Robert Rolf Federsson, Head in the Clouds wone our March Madness-Style "Name the beer" competition for March for 2017.